You know what I love about bacon? It can go with breakfast, lunch or dinner! 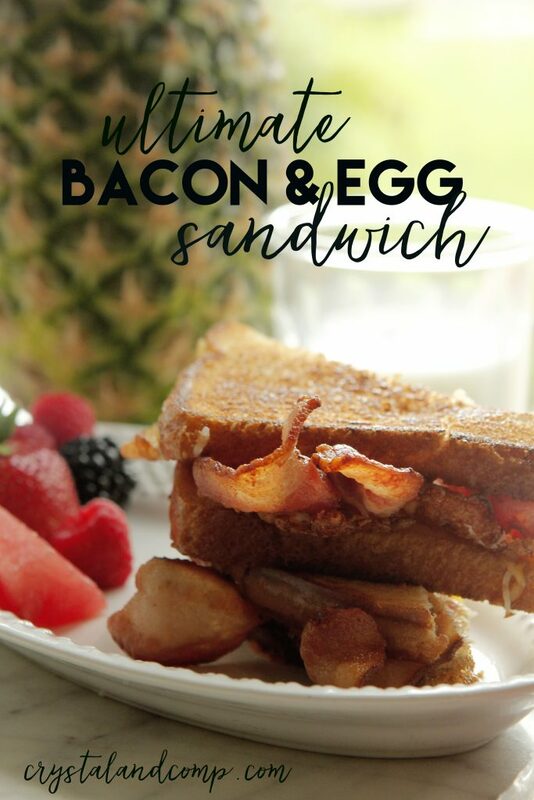 We have created the ultimate bacon and egg sandwich (with cheese… ) that is perfect for any time of day. We made it as a family for brunch, actually. And you will never believe what inspired it! Yesterday I took my seven year old and a friend to a local tea room for lunch. Yes, my seven year old son. In a tea room. 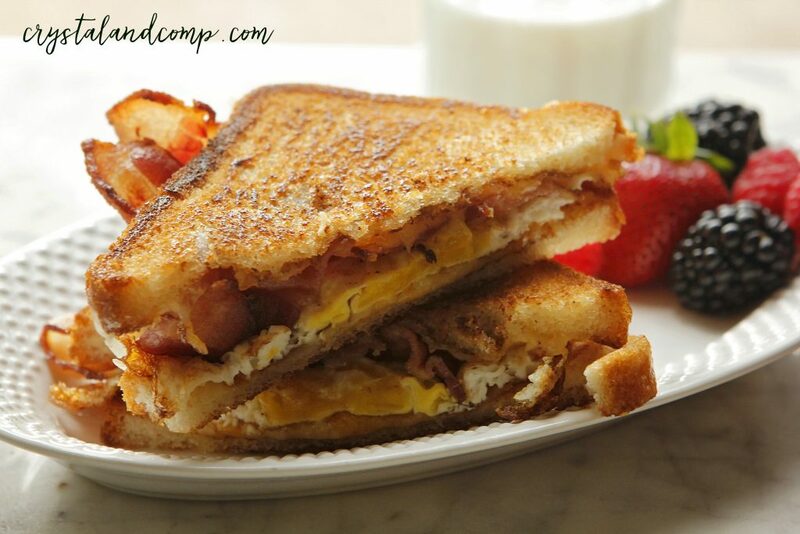 As we ate I admired their bacon and egg sandwiches and then we came home and recreated them! In one pan fry your bacon over medium heat. 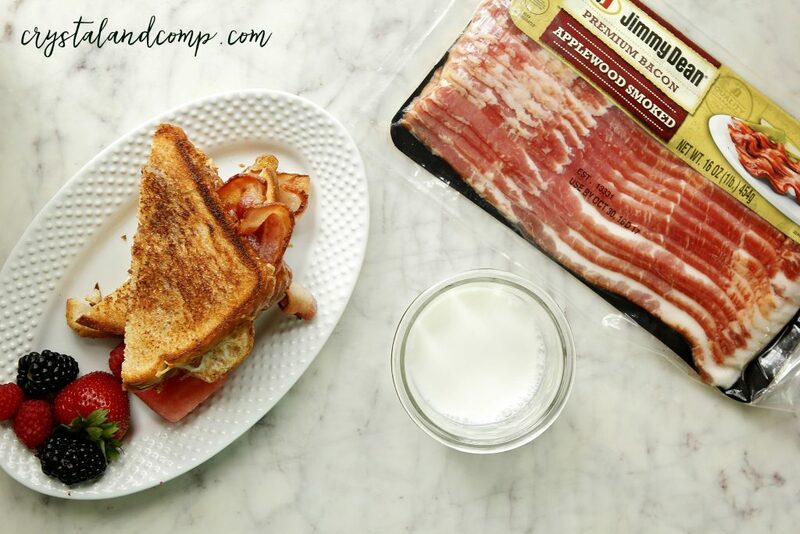 Your family will devour the taste of the applewood smoked bacon. And it is divine cooking, too! Set bacon aside once done on a paper towel. On a griddle, over medium-high heat, melt 1 T of coconut oil. Fry your egg in it. My kids prefer the yolk not runny. Hubby likes it runny. Do what everyone loves. Remove the egg and set aside. There will be remaining oil on the griddle. Place two slices of bread on the griddle and toast each side. Once toasted place 1/4 c cheese on one slice of toast. Then add the 3 strips of bacon. Then add the egg on top of the bacon. Top with the remaining 1/4 c cheese and finally the last slice of bread. Flip after 30 seconds or so. This will allow the cheese to melt on both sides. Serve it up with fruit. My kids cleaned their plates. Or, we can just make a trip to Walmart every day and grab another pack. Prefer hickory flavor instead of applewood? 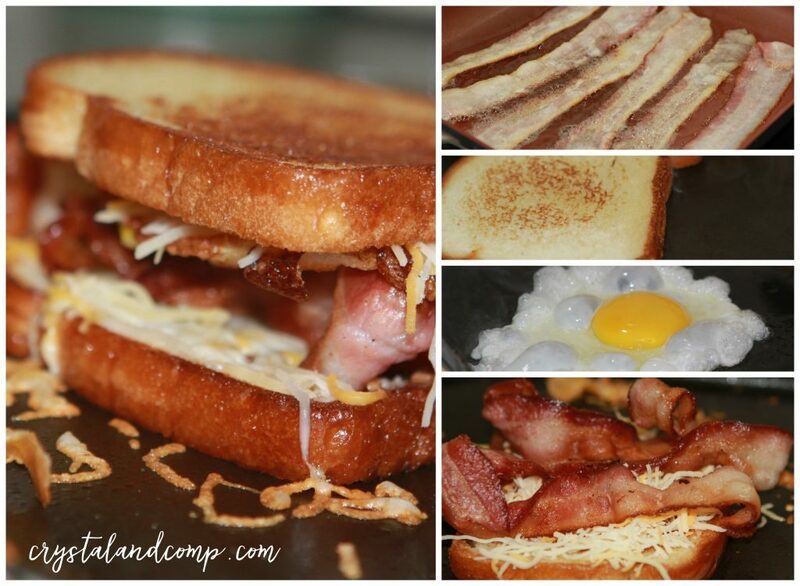 Jimmy Dean® Bacon has you covered there, too! Oh, don’t forget to take this coupon with you when you head to Walmart. Looks delicious. Thank you for sharing with us at #HomeMattersParty . We would love to have you again next week.